The new political crisis that is unfolding in Serbia has intensified because of the announcement of the results of the parliamentary elections on April 24th, after a night of a recounts by the National Electoral Commission (RIK) at the disputed 99 sites. According to the RIK in Parliament, the second most important patriotic opposition bloc after the Radical Party, the Democratic Party of Serbia (DPS) and the "Dveri" movement will no longer be in Parliament. According to the RIK coalition, they have only 4.99% of the vote and thus fall short of the five percent barrier. The final election results will be announced on May 4th when a second vote will be held at the 15 polling stations where election results were annulled. However, these 15 sites are unlikely to change the overall balance of the country. The opposition has already made accusations against RIK and Prime Minister Vucic of manipulation during the election process and vote counting. According to previous RIC and exit polls, DPS and "Dveri" should be in the new Parliament. The DPS and the "Dveri" adhere to a strictly pro-Russian geopolitical orientation, unlike Vucic, who is balancing between Moscow, Washington, and Brussels. Vucic seeks to minimize the presence of the opposition in Parliament, as it has already passed Vojislav Seselj’s Serbian Radical Party with 8% of the vote. The situation is tense in the country because both the "Dveri" and DPS are popular, have well-trained mobilized activist structures, and are willing to take people to the streets. 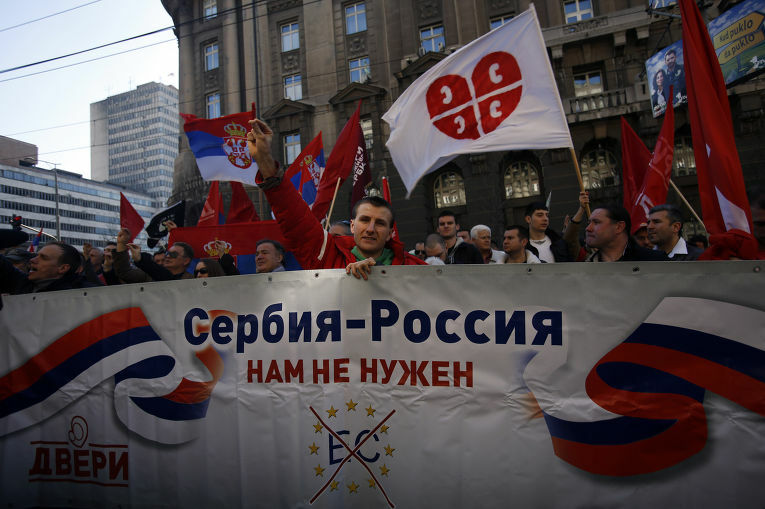 Should this occur, Serbia is awaiting a political crisis comparable to the revolution in 2000 when Slobodan Milosevic was overthrown. The situation is complicated by contradictions among the patriots; Vojislav Seselj refused to support colleagues in the patriotic camp.